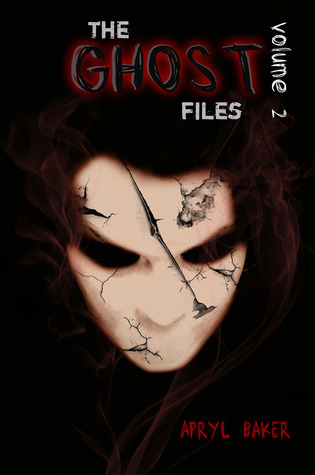 Review – Ghost Files Volume 2 – By Apryl Baker. At seventeen, Mattie Hathaway has survived her mother attempting to kill her, multiple foster homes, and a serial killer. Oh, and she sees ghosts on a regular basis too. You’d think Fate would give her a break right? Umm…nope, not Mattie. Dan Richards is the only person in the entire world Mattie trusts, but then the boy goes and breaks her heart. Mattie does what she does best, she runs and lands herself slap in the middle of a haunted house full of ghosts turned vengeful that want Mattie to join their ranks. Only bright spot on all this? Eli Malone – the gorgeous boy with the beautiful aqua eyes that makes her feel things she’s never even imagined before. She’s not sure what to do with him, especially when Dan shows up glowering at him. She’ll figure Eli out if she can survive the house. The ghosts are bound and determined to kill her so she’ll be one of them. Now if she can just figure out how to survive them and the demon stalking her, she might be able to decide what to do about her feelings for Dan and Eli. That is if she can survive the night in the house. Via Goodread’s book receives contradictory review’s. I for one enjoyed this book, and so far the series. Prior to this series I read the follow on series called “The Crane Diaries” and was confused about Mattie’s past. This series clears that all up and has kept me engrossed. (Homecoming – The Crane Diaries – Review). There may not have been a lot about new Orleans featured in this book, which appears to be fellow reviewers complaints. I on the other hand found there to be plenty of paranormal content, gossebumps and drama to keep me entertained throughout, New Orleans was simply a basic setting for this book. The only part I found myself skipping was the internal dialogue from Mattie…. I wanted action, dialogue between characters, however as soon as I was getting bored the story picked up again, throwing me back into Mattie’s paranormal gifts, demons and more. The main critique I have seen from other reviewers was Mattie’s constant switch between men. What people need to understand is, this is from the point of view of a 17 year old, who has experienced prolonged abuse and upset. Mattie has been tortured, passed around foster homes, and given a gift which is not only terrifying, but dangerous!. Of course she is going to jump at the chance to fall for a cute, caring guy. This is probably the only normal part of her life, experiencing what other teenage girls do at her age. The fact that one of the three men is dead, does not bring much hope for Mattie’s love life, even if Mattie has her heart set on “mirror boy”. I very much enjoyed meeting the New characters, Caleb, and Eli. their brotherly banter and protectiveness over Mattie. they featured in my favourite character moment. Dan discovers more than he realised on the journey to find Mattie’s real mum. He also needs to gain Mattie’s trust, and try to salvage her broken heart that he smashed. The mystery dark goo demon who appears from the beginning and I thought was the plot, seems to disappear halfway thought the story line and replaced by a news demonic ghost. This threw me off, however I preferred the demonic ghost from the 1700’s, his dark twisted mind and Voodoo. The descriptiveness of Apryl’s writing is enough to keep any reading captivated, but not too descriptive to bore us. I would definitely recommend this book and read it myself again. 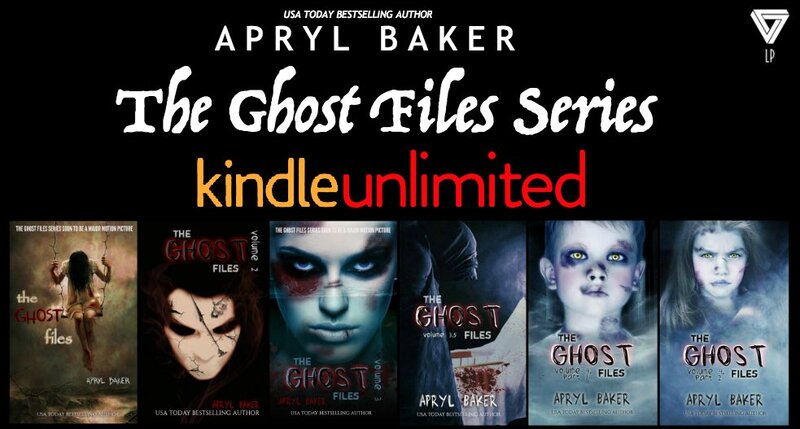 Apryl Baker has not let me down in this series, and has made me fall in love with the paranormal genre all over again.